The United States Department of Agriculture (USDA) Rural Development operates several housing assistance programs. The goal of these programs is to create opportunities for families in rural areas to own safe and sanitary homes. The USDA guarantees loans made by approved vendors and offers financial assistance directly to families. Fairway Independent Mortgage Corporation offers both direct and guaranteed USDA loans throughout Atlanta, Miami, and Orlando. The USDA Single Family Housing Guaranteed Loan Program is a program in which the USDA insures home loans that are made by approved USDA lenders. 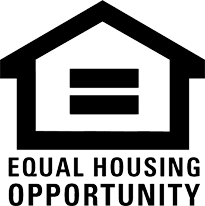 The guaranteed loan program is tailored to low and moderate income families. USDA Single Family Housing Direct Home Loans are available to low and very-low income households. These loans are not insured, rather they are offered directly by the USDA in the form of a subsidy.